flights to more than 1000 European regional airports. ​flights to more than 1000 European regional airports. Put an end to wasted time due to flight connections, forget the hassle of transfers and the long waiting times at airports. How about if you could reach more than 1000 regional airports in Europe, even outside the major hubs, direct and in the shortest possible time? All without long check-in times and lengthy transfers. You may just think that this is not possible, since the connections are typically worse at regional airports and they will never fit your schedule. Or you might assume that on-demand flights are way too expensive and makes little financial sense. We fly you from the nearest airport of your place of residence or work, direct to more than 1000 regional airports around Europe - at exactly the time you desire. 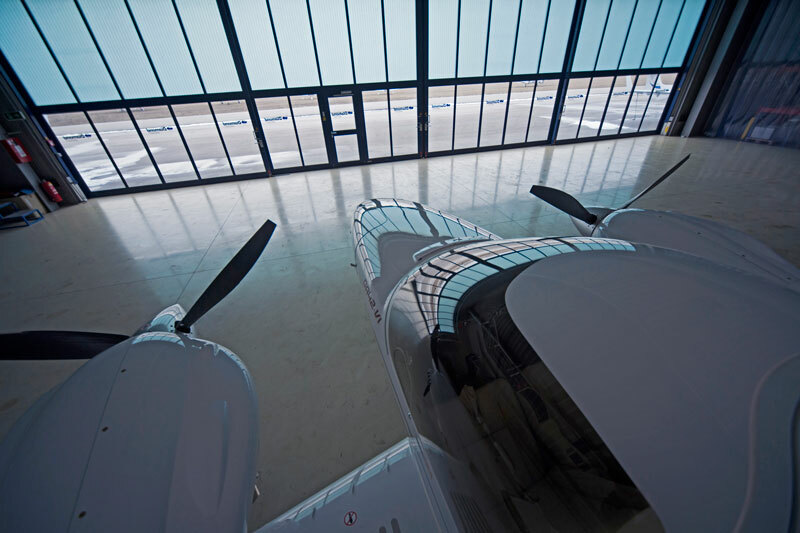 It’s possible to arrive 15 minutes before the flight at the private terminal. Each individual Air2E flight will be a totally new experience! 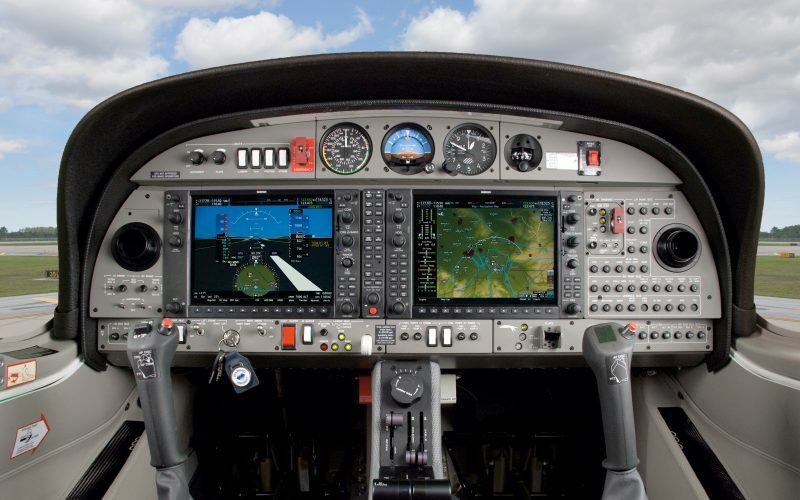 Watch the pilot, work undisturbed or just relax and enjoy the view. Even the airport transfer can be pleasant and comfortable, arranged through our door-to-door service. Modern electric cars shuttle you to and from any of your locations to the place of departure. Your time is valuable. 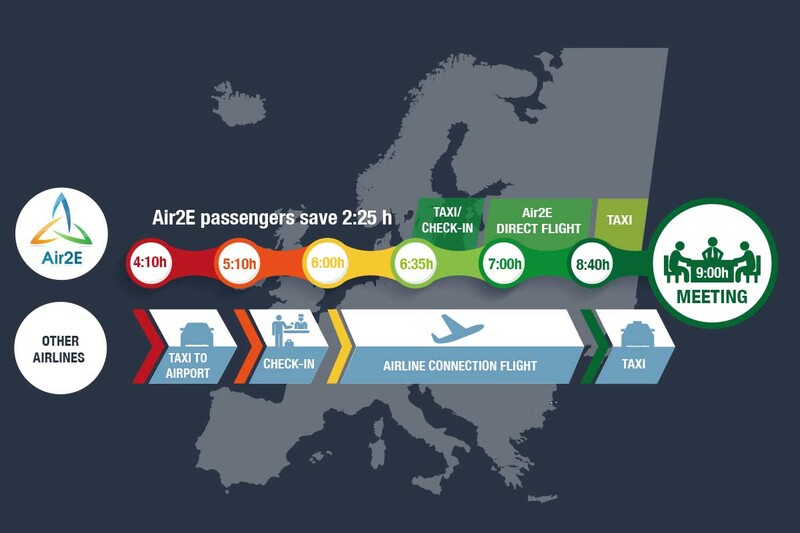 An individual trip with Air2E is a viable investment if visiting clients or subsidiaries away from the main travel routes - especially if travelling to smaller regional airports that are barely used by larger airlines. Do you regularly travel fixed routes? We offer attractive corporate conditions – contact us. It’s our personal commitment to reduce CO2-emissions within the travel sector. Therefore, we plan to fuel our efficient airplanes as soon as possible with synthetic kerosene produced based on renewable energies (presumably from 2020/21 onwards). Till then Air2E is compensating the emitted CO2 for all flights through the certified carbon offset project "Hydropower for the habitat of mountain gorillas" from ClimatePartner in the famous Virunga National Park in Congo. For our clients this compensation is free of charge. Connecting business professionals to more than 1000 destinations across Europe. Now Air2E has the ideal solution. As a business traveller, you're already overly familiar with long check-in times and the hassle of security controls associated with commercial flights. Difficult connections at large airports are stressful. The experience of commercial travel drains the energy required to make your next business meeting a success. ​On such a trip you would save 2.5 hours with a direct Air2E flight compared to other airlines. On such a trip you would save 2.5 hours with a direct Air2E flight compared to other airlines. More than 1000 regional airports are within our reachable network. Check for yourself the closest airport to bring you directly to your destination. Please enter your starting point or destination in the search box below and we will show you the nearest airports available for flight departure and arrival. 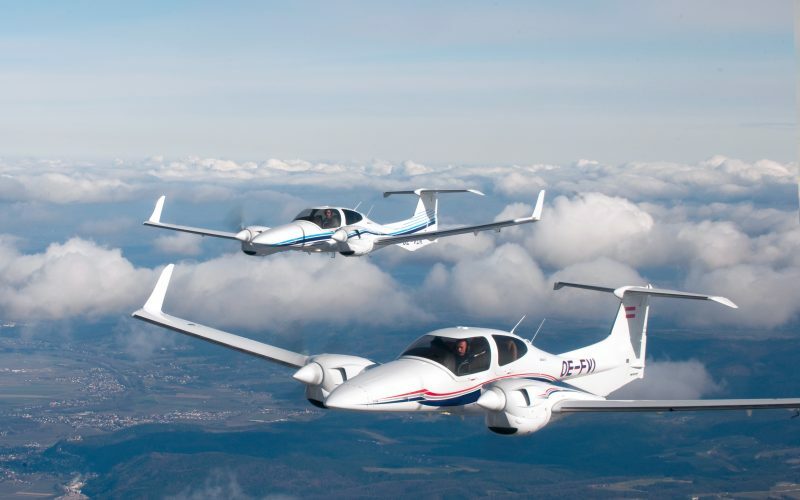 You will fly safe and comfortable with our modern twin-engine airplanes, type Diamond DA42 NG (Austrian Diamond Aircraft Industries) and Beechcraft Baron G58P (Beech Aircraft Corparation, USA). This 4 & 6-seat business airplane are successfully operated by our experienced, exclusive airline partner Franconia Air Service GmbH already for several years. With our flight operations, we are subject to the same regulations and security measures as the large airlines and we are operating within a fully certified airline under an air operator’s certificate (AOC). All our pilots are professional pilots, specifically trained on this type of aircraft and regularly fly this type of plane. The maintenance is only performed with professional technicians in an accredited maintenance shop, which is certified by the German Aviation Authority (Luftfahrtbundesamt) and also by the airplane manufacturer. Together with our in-house quality control, we guarantee the highest possible security and quality standards. Flying is harming our climate – that’s a fact. The short-term solution: Synthetic kerosene, based on renewable energy can transform the climate effects of air travel to a different level. The process is based on the electrolysis of water. The necessary electricity for the electrolysis process is taken from renewable energies (wind, solar, water). 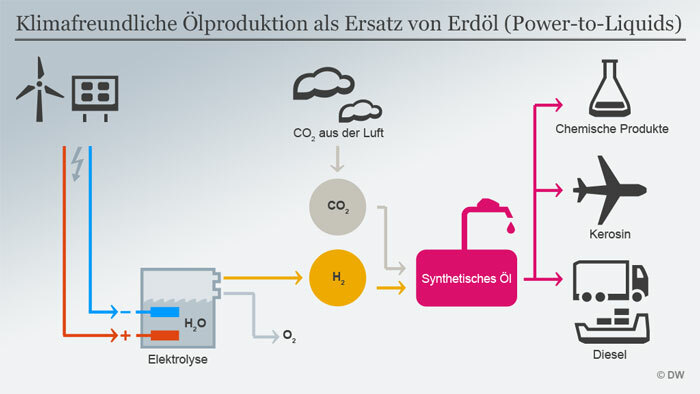 In an attached synthesis process CO2 is embedded and climate neutral synthetic kerosene is produced (called “Power-to-Liquid”). In this process, the same amount of CO2 is taken from the air as the airplane engine later emits to the air again. Therefore, we will be able to fly fully CO2-neutral and will advance with an active contribution to climate protection. You will have reassuring knowledge that you're travelling environmentally friendly! After the successful pilot phase of synthetic kerosene production there are now larger plants planned. With the increase of production volumes, the synthetic kerosene will get affordable and competitive presumably by 2020/21. Air2E will be part of this transformation! Air2E is currently in intensive talks with producers to secure production volumes of aviation grade kerosene to realize our vision of climate neutral flight by 2021. Before the availability of the synthetic kerosene Air2E is compensating the emitted CO2 for all flights through the certified carbon offset project "Hydropower for the habitat of mountain gorillas" from ClimatePartner in famous Virunga National Park in Congo (www.climate-project.com/1072). For our clients this compensation is free of charge. Four founders have established Air2E GmbH in Germany in 2017. 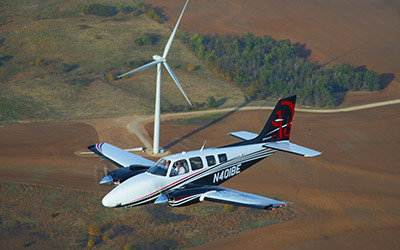 We are well grounded with more than 20 to 30 years of experience in the fields of aviation and renewable energies. 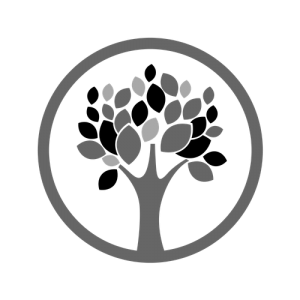 Between us we have an ideal mixture of dedication, motivation and professional knowledge. Two of us are also pilots ourselves. 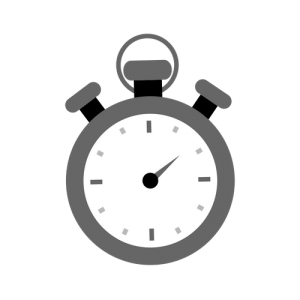 One common experience fuels us specifically: During past business trips as consultants, project/sales managers we had to endure time-consuming and complicated connections to reach our destinations. Never ending lines in front of check-in, nerve wrecking transfers and inefficient flight routs - we know the hassles of modern air travel as much as you do. Hence, we offer you this alternative – with our individually deployable, cost efficient business aircrafts we reach more than 1000 regional airports - efficient in time, flexible, safe and comfortable – and fully climate neutral. Was sind die Vorteile von einer Reise mit Air2E gegenüber einem Linienflug? Fliegen sollte angenehm sein und Air2E ermöglicht Ihnen komfortable und zeiteffiziente Reisen. Direkte Verbindungen zu zielnahen Regionalflugplätzen ersparen Ihnen Zeit und Kosten. Kein Warten Check-in, Sicherheitskontrolle und Gate, Ihre Reise beginnt sofort. Keine Anschlussflüge notwendig, wir bringen Sie direkt zum Ziel. Kurze Wege zum Flugplatz und zum Ziel. Mehr als 200 in Deutschland und über 1000 in Europa bieten ein dichtes Netz. Meist ist ein Flugplatz nur 20 km entfernt, maximal 50 km. Kurze Wege am Flughafen. Sie nutzen spezielle GAT-Terminals oder fahren direkt bis ans Flugzeug. Keine lange Stunden vorher am Flughafen. Nur 15 min vor Abflug müssen Sie am Flugplatz sein. Private Atmosphäre an Bord des Flugzeugs. Keine unangenehmen Sitznachbarn oder nervige Cockpitansagen oder Flugbegleiter/innen. Sie kennen Ihre Mitreisenden und das erlaubt Ihnen ein konzentriertes Arbeiten oder Entspannung für erfolgreiche Geschäftstermine. Ihr Gepäck reist mit Ihnen und Sie erhalten es sofort nach dem Aussteigen. Jeder Passagier kann ein Handgepäckstück mitnehmen, wobei aber auch mehr Platz vorhanden ist, wenn Sie mehr Gepäck benötigen. Individuelle Reisezeiten. Das Flugzeug wartet auf Sie wenn einmal ein Termin sich in die Länge zieht. Kein Überbuchen, da die Flugzeuge individuell gemäß Ihrem Bedarf fliegen. Weniger Emissionen bereits heute aufgrund der effizienten Flugzeuge. Air2E hat das Ziel ab 2020 komplett CO2-neutral zu fliegen durch den Einsatz von regenerativem Kerosin. Sie ebnen also bereits heute den Weg zu klimaneutralem Reisen. Wohin kann ich fliegen? Muss ein großer Flughafen angeflogen werden? In Deutschland gibt es ca. 200 Regionalflugplätze die von uns angeflogen werden können in Europa über 1000. Damit können aber müssen wir nicht die großen Flughäfen nutzen. Fast jeder Punkt in Deutschland hat einen Regionalflugplatz in max. 50 km Entfernung. Für Sie bedeutet das, das Sie schneller an Ihr Ziel kommen, als mit einem kommerziellen Flug von einem großen Flughafen. Wir können in den meisten Fällen viel näher an Ihrem Wohnort landen und die Ankunftsflugplätze so nah wie möglich an Ihrem Zielort auswählen. Sie sagen uns wohin Sie reisen wollen und wir suchen Ihnen den nächstgelegenen Regionalflughafen und organisieren, wenn gewünscht auch den Shuttle zu Ihrem Start und Ziel. Was kostet ein Flug mit Air2E? Die Gesamtkosten eines Flugs mit Air2E sind abhängig von der Entfernung und weiteren routenspezifischen Kosten. Sie lassen sich bei voller Auslastung des Flugzeugs und Einberechnung der gesparten Arbeitszeit/Stundenlöhne der Reisenden mit den Kosten eines Linienfluges (hin und retour) in der Business-Class vergleichen. Teilweise erreichen unsere Kunden aufgrund der Zeitersparnis auch das Niveau von Economy-Tarifen. Gibt es spezielle Angebote für regelmäßig Reisende oder kundenspezifische Linien? Ja, Air2E macht Ihnen attraktive Angebote für Vielreisende oder baut für Sie und Ihr Unternehmen Verbindungen auf, die regelmäßig angeboten werden. Dennoch bleiben Sie flexibel, denn ein vorgegebener Zeitplan kann auch noch kurzfristig geändert werden. Ab wann rechnet sich ein Air2E-Flug? Eine Geschäftsreise mit Air2E rechnet sich insbesondere bei Strecken die nicht direkt auf einer Hauptreiseroute liegen und für Mitarbeiterinnen und Mitarbeiter, deren Arbeitszeit einen hohen Wert hat (Jahreseinkommen >100.000 Euro) und somit so effizient wie möglich eingesetzt werden sollte. Dies kommt insbesondere durch höhere Flexibilität gegenüber Linienflügen, die sowohl Übernachtungs-, Verpflegungs- und Zubringerkosten einspart. Wann und wie kann ich Air2E erreichen? Wir sind 24 Stunden an jedem Tag der Woche unter +491719411611 und nw@air2e.com erreichbar. Wie komme ich von Tür-zu-Tür? Wir organisieren Ihnen gerne einen Shuttle zum oder vom Flugplatz und können dies in unserem Angebot inkludieren. Wenn Sie einen qualitativ hochwertigen Transport möchten, teilen Sie uns dies bitte bei der Buchung mit. Wir holen Sie dann zu Hause oder im Büro ab und bringen Sie direkt nach der Landung zur endgültigen Zieladresse. Wieviel Zeit spare ich mit Air2E? Auf innerdeutschen Flügen quer durch Deutschland sparen Sie zumeist 2 Stunden und mehr. Wie lange ist der Vorlauf vor einem Flug? Von privaten Terminals aus abzufliegen bringt für Sie den Vorteil, dass Sie - anders als bei kommerziellen Flügen - noch bis kurz vor Abflug einchecken können. Sie müssen 15 Minuten vor Abflug am Flughafen (z.B. GAT Terminal) oder am Flugplatz sein und manchmal können Sie sogar direkt zum Flugzeug gebracht werden und dort gleich an Bord gehen. Unser Pilot erwartet Sie und führen Sie und Ihr Gepäck zum Flugzeug. Wann rechnet sich ein Flug mit Air2E nicht? Ein Air2E Flug ist vor allem für den Einsatz bei Geschäftsreisen gedacht bei denen Zeit ein wesentlicher Faktor ist. Bei Urlaubsflügen ist der Reisende zumeist flexibler in der Reisezeit und Fluglinien bieten diese oft sehr billig an. Dennoch führen wir des Öfteren auch private Urlaubsflüge zum Beispiel nach Cannes in Südfrankreich oder Kroatien durch. Kann ich zu jeder Tages- und Nachtzeit fliegen? Grundsätzlich ja, jedoch müssen wir bei der Organisation Ihres Fluges bestimmte örtliche Rahmenbedingungen einhalten. Jeder Flugplatz hat andere Regeln. An einigen Flugplätzen dürfen Sie nur bei guter Sicht oder am Tag landen, auf anderen Flughäfen können Sie nach Instrumentenflugregeln landen. Jeder Flughafen hat Betriebszeiten, die je nach Flughafen variieren. Einige Flughäfen haben 24 Stunden am Tag offen, andere können von 8:00 bis 20:00 Uhr geöffnet sein. Oftmals können bei Flügen außerhalb dieser Zeiten kostenpflichtig Verlängerungen beantragt werden. Welche Flugzeuge setzt Air2E ein? Air2E nutzt zum einen die modernen sparsamen, zweimotorigen Geschäftsreiseflugzeuge vom Typ Diamond DA42 NG für bis zu 3 Passagiere. Mit einer Geschwindigkeit von 360 Kilometern pro Stunde ist die DA 42 NG auf einer Reisehöhe von ca. 3000 m unterwegs. Zum anderen verfügen wir über eine tausendfach bewährte zweimotorige Beechcraft Baron G58P mit Druckkabine für bis zu 5 Passagiere. Damit fliegen wir auf Reiseflughöhen von ca. 6000 m Höhe. Die Flugzeuge werden durch unsere exklusive Partnerairline, die FRANCONIA AIR SERVICE GmbH (FAS) betrieben und gewartet. FAS hat sich als Deutschlands einzige zertifizierte Airline auf die sehr effizienten kolbenmotor-betriebenen Flugzeuge spezialisiert. Wie läuft der Flug ab? Air2E bietet Ihnen ein einzigartiges Erlebnis mit direktem Bezug zu Ihrer Reise und unmittelbarem Kontakt zu Ihrem Piloten. Unsere Dienstleistung ist gänzlich auf Ihr Wohlergehen und Ihren Komfort fokussiert. Nach der Ankunft am Flughafen oder Flugplatz erwartet Sie bereits unser Pilot und führt Sie und Ihr Gepäck zum Flugzeug. Der Einstieg ist über eine Trittstufe über den Flügel möglich. Sie nehmen auf den beiden hinteren Sitzen des Flugzeuges Platz und von den Piloten kurz ein Sicherheitsbriefing gemacht. Danach können Sie dem Piloten bei den weiteren Startvorbereitungen zusehen oder sich entspannt zurücklehnen. Durch die großen Fenster haben Sie während dem Flug eine ideale Aussicht und können den Piloten auch jederzeit zu allen Sie interessierenden Tätigkeiten oder Wegpunkten fragen. Nach der Landung am Zielflughafen begleiten Sie unser Pilot vom Flugzeug zum Ausgang des Flughafens. Wie sorgt Air2E für meine Sicherheit? Ihre persönliche Sicherheit ist von größter Bedeutung und unsere oberste Priorität. Wir unterliegen den gleichen Bestimmungen wie große Airlines und die Flugzeugwartung wird regelmäßig und nur durch offiziell vom Luftfahrtbundesamt zertifizierte Wartungsbetriebe durchgeführt. Damit garantieren wir stets für eine regelmäßige und professionelle Wartung nach den höchstmöglichen Sicherheits- und Qualitätsstandards. Vor jedem Flug checken unsere Piloten das Flugzeug, und zusätzlich wird wöchentlich ein intensiver technischer Check der Flugzeuge vorgenommen. Darüber hinaus werden alle vom Hersteller und vom Luftfahrtbundesamt vorgeschriebenen turnusmäßigen Wartungen bzw. der Austausch von Komponenten vorgenommen und dokumentiert. Unsere zweimotorigen Flugzeugtypen verfügen über modernste Technik, die ein Höchstmaß an Sicherheit bietet (Autopilot, Enteisungssysteme etc.). Selbst im unwahrscheinlichen Fall eines Triebwerksausfalls fliegen sie zuverlässig mit einem Motor weiter und verfügen auch in diesem Fall über Leistungsreserven die ein weiteres Steigen, zum Beispiel über die Alpen hinweg erlaubt. Kann ich auch andere Flugzeuge bei Air2E buchen? Ja Air2E hat über die Partnerairline Franconia Air Service Zugang zu dem weltweit größten Marktplatz für Luftcharter mit mehr als 1000 Flugzeugen in ganz Europa. Wir erstellen Ihnen gerne ein persönliches Angebot. Können auch Kinder bei Air2E mitfliegen? Ja, selbstverständlich sind auch Kinder Passagiere in unseren Flugzeugen. Kinder ab zwei Jahren haben einen eigenen Sitzplatz. Gibt es an Bord etwas zu Essen und zu Trinken? In unseren Flugzeugen stehen kleine Snacks wie Erdnüsse, Süßigkeiten etc. und verschiedene Softdrinks wie Wasser, Apfelsaftschorle etc. zur Verfügung. Wenn Sie spezielle Wünsche haben, sagen Sie uns bitte Bescheid, wir erfüllen Ihnen gerne jeden Speise- und Getränkewunsch innerhalb der technischen Gegebenheiten unserer Flugzeuge. Darf ich mein Haustier zum Beispiel einen Hund oder eine Katze mitnehmen? Ja, Ihre Haustiere mit einem maximalen Gewicht von 8 kg sind an Bord willkommen. Auf dem Rollfeld, beim Start und bei der Landung ist es wichtig, dass Ihr Haustier in der Kabine gesichert ist. Dafür gibt es drei Möglichkeiten: In einem Transportcontainer, angeschnallt auf einem Sitz oder an der Leine geführt, die am Sicherheitsgurt eines Passagiers befestigt ist. Bitte bringen Sie eine Decke als Unterlage mit. Die geltenden EU-Verordnungen geben vor, dass Haustiere für die Reise zwischen EU-Mitgliedsstaaten einen Heimtierausweis bzw. für die Reise in Drittländer einen Heimtierausweis oder eine Gesundheitsbescheinigung benötigen. Auf Flügen nach Großbritannien gelten besondere Bestimmungen. Über all diese Bedingungen informieren wir Sie bei Bedarf gerne. Kann ich auch im Ausland oder aus dem Ausland fliegen? Ja, wir fliegen Sie von jedem Ort in Europa aus zu Ihrem gewünschten Ziel. Was ist der Unterschied zwischen einem privaten Mitflug und Air2E? Verlässlichkeit und Sicherheit: Air2E nutzt nur Flugzeuge die in einer Betriebsgenehmigung durch das Luftfahrt-Bundesamt genehmigt wurden, das heißt unter den gleichen Bedingungen wie die großen Fluglinien fliegen. Wesentlich hierfür ist das Luftverkehrsbetreiberzeugnis (englisch: Air Operator Certificate [AOC]), welches die Voraussetzung zur Erteilung einer Betriebsgenehmigung zur Erbringung von Flugdiensten an ein Unternehmen ist. Werden Sicherheitskontrollen und Zoll durchgeführt? An vielen größeren Flughäfen nutzen wir private Boarding Lounges in sogenannten GAT-Terminals. Hier kommen Sie ohne Warteschlangen durch die schnelle Sicherheitskontrolle und mit vereinfachter Zollabfertigung zum Flug. Wenige Minuten nach Ihrer Ankunft am Flughafen gehen Sie an Bord, oder entspannen sich bei einem Getränk oder Snack, während Sie auf Ihre Mitreisenden warten. An kleinen Flugplätzen können Sie mit dem Fahrzeug fast bis zum Flugzeug fahren und werden nur noch eventuell nach Ihrem Pass zur Identifizierung gefragt. Der Pilot hat jedoch das Recht ihr Gepäck zu kontrollieren. Alle Zollformalitäten erledigen wir für Sie. Welche Daten werden von Air2E benötigt? Air2E benötigt Ihre Unterschrift unter dem Beförderungsvertrag sowie die Passagierdaten, üblicherweise durch eine Kopie der Pässe der Reisenden, sowie eine Handynummer eines Reisenden, der sich an Bord des Flugzeugs befinden wird. Passagierdaten werden von uns streng vertraulich behandelt. Was ist der Unterschied zwischen Flügen mit Privatpiloten und lizenzierten Flugunternehmen? Im Wesentlichen die Pilotenausbildung: Der private Anbieter fliegt meistens nur mit Piloten, die nur die Privatpilotenlizenz haben. Air2E nutzt nur ausgebildete Piloten mit Berufspilotenschein die über entsprechende Erfahrung auf unseren Flugzeugen verfügen und regelmäßig einen Checkflug auf dem Flugzeugmuster bestehen müssen. Außerdem bestehen spezifische Anforderungen an Wartung, Service und Versicherungsschutz bei lizenzierten Flugunternehmen. Wann muss ein Flug bezahlt werden? Aufgrund der individuellen Reservierung eines Flugzeuges für Sie ist unmittelbar mit Reservierung und vor Abflug die Zahlung des Gesamtpreises notwendig. 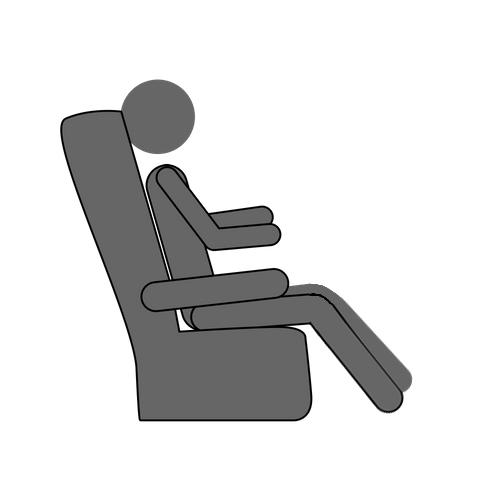 Business flights from your local airport - faster and more comfortable. Let us create an noncommittal offer fitting your personal conditions. Let us create an noncommittal offer for you. Fill in as many fields as possible. That way, we can customize the offer perfectly. Wir erstellen ganz unverbindlich ein Angebot für Sie. Füllen Sie so viele der optionalen Felder aus, wie Sie können. So können wir unser Angebot für Sie verfeinern. Mit dem Absenden meiner Anfrage bestätige ich die Datenschutzerklärung gelesen zu haben. Ich stimme aktiv zu, dass Air2E die von mir angegebenen Daten zur Erstellung eines unverbindlichen Angebots weiterverarbeiten darf.